Sugar can’t cause tooth decay by itself. Nope! That delicious sweetness is tasty to bacterial plaque that lives on our teeth. Yuck! See, the bacteria love to eat the sugar and in return produce a nasty acid that eats through your teeth! Mmmm… now do you want to brush?! This bacterial plaque adheres to the all the pits and grooves on your teeth—even the smooth surfaces—and will not wash away with water. Gently brushing and flossing are the only way to remove the bacterial plaque. And, just an FYI, no amount of rinsing with mouthwash will remove the plaque. Within 12 hours or so on your teeth, a visible layer of plaque forms and locks on to your pearly whites. This is why brushing a minimum of twice each day is needed—brushing three times each day is best. The key to great brushing is being thorough. Be sure to teach your children about variety in their brushing and trying to reach every surface of every tooth. Often, children will develop patterns in their brushing and the areas they miss are right where they’ll end up with cavities. It’s best for parents to help their children brush until the child is able to do it well on their own. My wife and I still brush our seven year old’s teeth, because she can’t quite make it to every spot! You can’t completely eliminate sugar from your child’s diet, nor should you. Hello! It’s delicious, and the fun part about being a kid. So—the cleaner your children’s teeth are, the more at ease you can be about giving them the occasional sugary treat. MAKE SURE that your child’s teeth are clean at night. Sugar, and the bacteria that feast on it, will do the most damage at night. Get in a routine of brushing and flossing at night. My wife and I brush and floss our four children’s teeth before telling them their bedtime stories. At first, it’s a fight! They soon realized we were going to do it no matter what and they came to expect it. Another good time to brush is in the morning just after breakfast. Right when they get home from school is great too. Brushing and flossing thoroughly will give you peace of mind and allow you to worry a bit less about the sugar your child is eating. Building a consistent habit in their lives will help them as they grow and eventually leave your care. 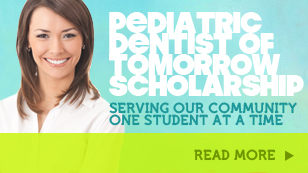 They’ll thank you when they’re old by flashing that pearly smile you helped them keep! 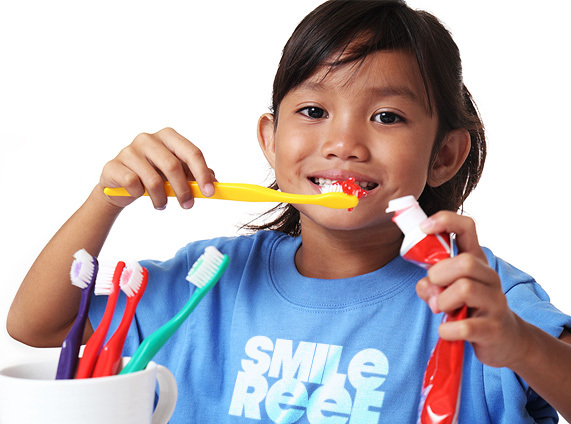 When you come into Smile Reef, we’ll assess your child’s oral hygiene and help teach you and your child about the best brushing and flossing techniques.